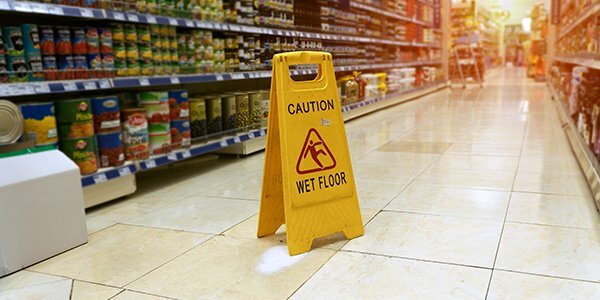 If you have a job, chances are you have workers' compensation insurance. While state workers' comp laws can vary concerning who is covered, those distinctions are normally based on the kind of job you have, not your immigration status. But a couple states have passed laws saying undocumented immigrants are not entitled to workers' compensation benefits. The Ohio House recently passed a bill barring workers' comp benefits for "illegal aliens," though the bill has a long way to go before becoming law. The choice of inflammatory verbiage in the bill was apparently purposeful. Although many have objected to the use of "illegal" to refer to undocumented immigrants, the bill's sponsor, Republican Representative Bill Seitz, said using the term "undocumented immigrant" instead is "sort of like calling drug dealers undocumented pharmacists." And both sides disagree about the incentives the bill would create. Its supporters contend that current law incentivizes Ohio businesses to hire undocumented workers, because any medical costs arising from injury claims would fall on the state's workers' comp system. Opponents contend the opposite -- workers' comp costs (paid by employers) are based on the total number of claims, which would fall if employers hire more undocumented workers who can't file claims in the event of an on-the-job injury. And the medical costs would then fall on emergency rooms, health-care plans, and taxpayers. The actual impact is unknown as well. The Daily Record Reports Ohio's Bureau of Workers' Compensation doesn't keep data on benefits payments to undocumented workers, making it impossible to estimate how much the bill would reduce benefit payments. There are many other states, including Arizona, Arkansas, California, Colorado, Hawaii, North Carolina, Tennessee, and Texas, that have statutory protections allowing undocumented immigrants to receive workers' comp benefits. And many others don't specifically bar undocumented workers from filing injury claims. Ohio's bill would allow injured workers to sue employers who hired them knowing they were undocumented, but many are skeptical they would turn to the courts for relief when their immigration status is so precarious. It should also be noted that it is against federal and Ohio law to knowingly hire undocumented workers. If this bill passes, perhaps as these workers' comp claims are denied based on the employee's immigration status, those employers would be opening themselves up for liability.